When you say the words “YouTube” and music videos, hilarious clips that have gone viral such as Sweet Brown (“Ain’t nobody got time for that!”) or Charlie Bit My Finger may come to mind – all shared by e-mail, tweets and posts to and from millions of viewers around the world. We just can’t help but watch … and it certainly rings true that the most-viewed videos are those of organic moments that feature kids, animals and accidents. Did you know that YouTube is actually one of the powerful, popular search engines, second only to Google? People aren’t watching videos solely for the purpose of being entertained. There are countless others who are seeking expert advice, or wanting to gain insight into a business or topic they are interested in learning more about. To stay relevant and competitive as a professional services provider, you must be a part of this era of social media and video marketing. That may seem like a daunting task. Believe me, I understand. There are so many tools to choose from; it can be overwhelming. 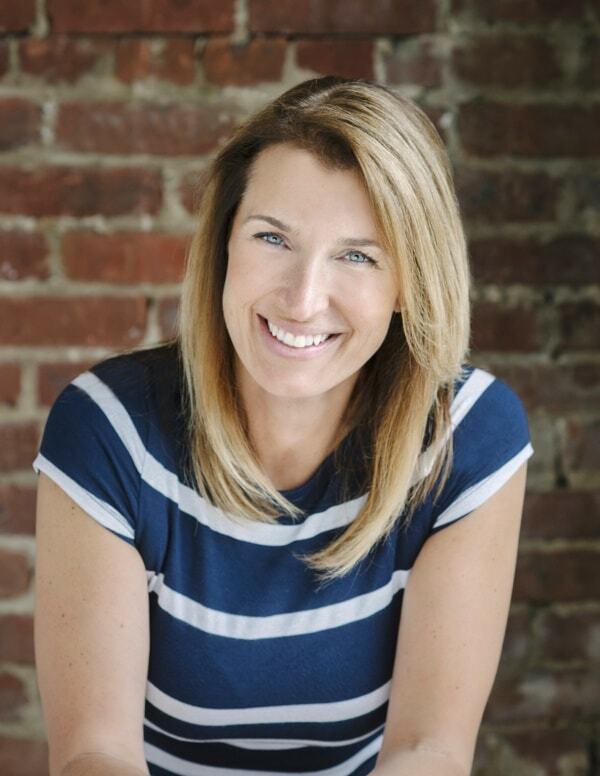 I am lucky to have a social media maven as part of my marketing team who helps keep me current on the fast-paced, ever-changing world of social media, offering her sage guidance on which social tools to invest time and effort. Since we are talking video marketing, I will concentrate on YouTube. Growing in popularity for posting videos are Vine and Instagram, but once you get the hang of leveraging YouTube, the other two will work similarly. At WithumSmith+Brown, we have embraced video marketing fully, and have enjoyed notoriety within our profession with our light-hearted, finger-snapping videos that provide a glimpse of our culture with the world. These videos were created as the energy-boosting kick-off to our annual State of the Firm meetings; we could not have imagined what a trend-setting hit they were to become. They are posted on YouTube on our own Withum Vids channel, but we also have these videos embedded within our website with the intent to maximize search engine optimization or SEO, further increasing the ability for external audiences to find us through Internet searches (meaning links to our website will rank higher on Google, Bing or Yahoo). We also recently launched a video blog, ERISA Sunscreen. 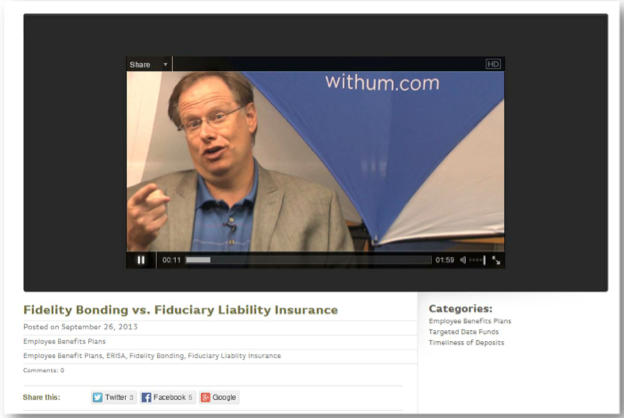 Our ERISA practice leader, Dave Davey, is the star, sharing practical (albeit tongue-in-cheek) information to help fiduciaries “from getting burned with their 401(k) or other employee benefit plans.” Having just launched in September 2013, it already has more than 1,000 viewers from across the country and has been referenced by several industry websites. This is an excellent demonstration of sharing thought leadership and infusing a little bit of humor, which is especially appreciated by audiences when the topic is of a dry nature. Our blogs are powered by WordPress, which is an affordable and very user-friendly platform for websites and blogs. First, think about what your goal is for this video effort. Is it to display your firm’s culture? Is it to demonstrate expertise and thought leadership, establishing yourself as a subject matter expert? Think about what your video is aiming for and go for the right style … but remember to have some fun with it. Share a case study of how you helped a client (in the generic sense – don’t name names) to minimize their tax exposure. Explain accounting terminology that may seem complicated to the average client. Discuss and demonstrate with the right materials on how to read a financial statement. The sky’s the limit! The smartphone you already have can take terrific videos. No smartphone? You can purchase a cost-effective Flip video camera for about $300, from which you can upload videos directly to your computer. YouTube is free. Facebook is free. Twitter is free. LinkedIn (and creating and/or joining targeted discussion groups) is free. WordPress is very economical, costing under $100 a year to host a blog. Remember that brevity is crucial. Try not to be longer than 3 minutes. The average viewer’s attention span is fairly limited; itchy trigger fingers are ready to jump to a different video and you don’t want them clicking off just when you were getting started. It is also important to share your name and pertinent information about you and your firm within the first 15 seconds. Enter your key words in the Tags Section. 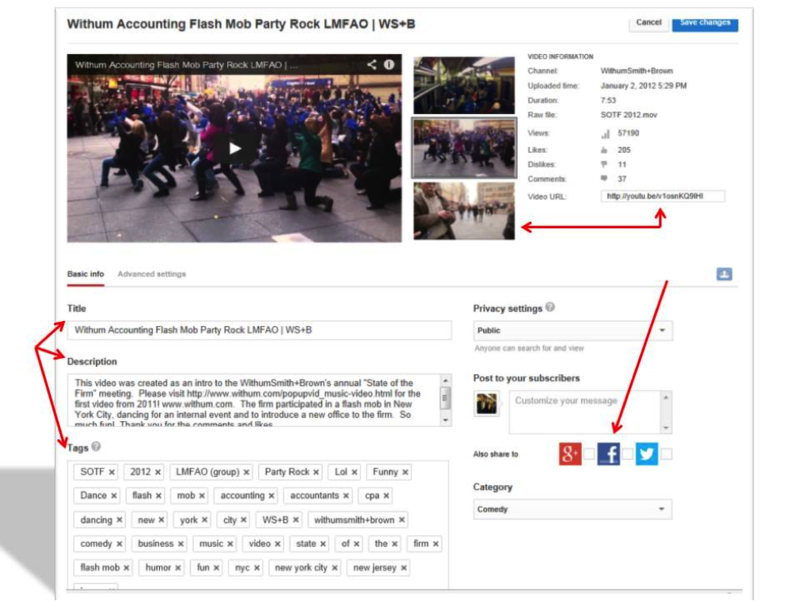 YouTube automatically creates a link and video thumbnails to copy and paste to other places like LinkedIn, Facebook and your own website. Video is an asset so think about all of the other sites and tools where you can leverage this gem you created. Repost with a different title, thumbnail after a few weeks – keep promoting it. We have our videos posted to our corporate and mobile site homepages and embedded within our Careers page; and links shared on Facebook and Twitter. To make it even easier, YouTube provides buttons to post your video directly to your Google+, Facebook or Twitter account. Just check the box. There also are tools to edit and “improve your video.” You can also create and edit annotations, and layer text and links over your video. This helps enrich the video experience by adding information, interactivity and engagement. It really is incredible how user-friendly these tools have become for the average person, so there’s no excuse. Get your thinking cap on and get creative. Video marketing can be an exciting, new way to help build brand awareness and drive new business to your practice. If you have any questions about the information shared in this post, please feel free to email me at rmaraziti@withum.com. Have fun!